Two thousand years ago lived a seemingly ordinary man called Barnabas. His name, meaning 'son of encouragement', is repeated no less than twenty-five times in the book of Acts and five times in the epistles. He played an absolutely vital role in the beginnings of the Early Church, but finding a book about Barnabas can be rather difficult, until now...Following on from the success of his last book, There Are No Strong People, enjoy Jeff Lucas' trademark humour and down-to-earth realism as he turns his unique observations to Barnabas, discovering that in the midst of the ordinary, we can in fact all live extraordinary lives with God by our side. 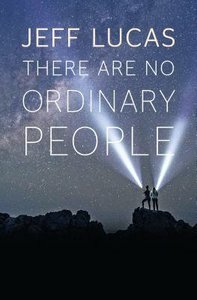 About "There Are No Ordinary People"